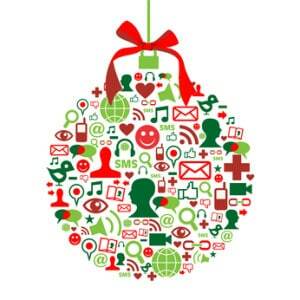 Start Your Holiday Social Media Campaigns NOW! TELL THEM TO HAVE FUN! The National Retail Federation recently released their overall holiday retail sales forecast. The forecast expects an increase of almost 4 percent over last year to $602 billion. Shop.org expects online holiday sales to increase up to 15 percent for $82 billion. Retailers are rolling out their holiday campaigns. Maximize your cut of the holiday revenue by jumping onto the social media platforms with your own customer-centric campaigns. A campaign that gets consumers involved in some activity can start a social media snowball. Excited and interested consumers send your campaign on to their own network of friends and family, influencing them with their excitement. Tyson Foods developed a holiday campaign targeting creative moms. They were asked to decorate one of their products, chicken nuggets, as Christmas trees, snowmen or whatever holiday theme they chose. Tyson received more than 8 million hits on their social media sites, as Huffington Post reports. This was a marketing campaign that encouraged consumers to have fun on behalf of the company. The result was a domino effect where consumers encouraged their own networks to get involved. Tell the Customer to Promote You. When done creatively, asking your customers outright to promote you can work, believe it or not. The disposable diaper company, Huggies, posted a $1.50 coupon on their website. It also went out to their 800,000 social media followers. The customer was told that they could use the $1.50 coupon or share it with their friends on Facebook and Twitter and double the savings, to $3.00. According to Digiday, the response was greater than Huggies predicted. You can combine campaigns to reach more customers. For example, you can use a “click here” campaign that asks existing customers to send a tweet to their network about a unique experience they have had with one of your products. Then you give a discount code to new customers if they select which customer experience influenced them to try your product(s). How Far Will Customers Go? People will do some interesting things to have a little fun and get a reward in turn. The award-winning Burger King Whopper Sacrifice campaign made social media news by getting people to delete ten of their Facebook friends to receive a free burger. Those friends were even notified that they had been “unfriended” in exchange for a burger. Within one week, more than 230,000 people had been “sacrificed” to the campaign. Facebook eventually blocked the campaign, as Search Engine People reports. Ask your customers to go out on a limb for you. Offer a discount if they’ll turn in their old running shoes to buy your brand. Have them post photos of creative ways to recycle their old shoes, such as turning them into a planter. If done in the spirit of having fun, people will get engaged with you and your products. Creating a campaign that uses the input from your customers shows that you are paying attention to them. People want to feel that they are being heard and are not just another customer number. A great example of a company going out on a limb was the Old Spice real-time video campaign, which Social Media Today recapped. In an attempt to regain falling market share, Old Spice created a new set of entertaining videos based on customer comments they received over Twitter. Some of the comments came from Starbucks, Huffington Post, Ellen DeGeneres and Perez Hilton, all of which had videos created from their comments. The response was 30,000 new Twitter followers and more than 11 million views of their YouTube videos. Solicit feedback from your customers and use it in a campaign. Show the customer that you value their input. Have a contest to find the best tagline to include in your handcrafted cheese campaign. Don’t be afraid to laugh at yourself, too. Your customers will tell you when you’re being too serious about yourself.